Each week, I recommend two podcasts that are worth your time, as well as plug my own podcast. "The revolution will not be televised, the revolution will be podcast!" 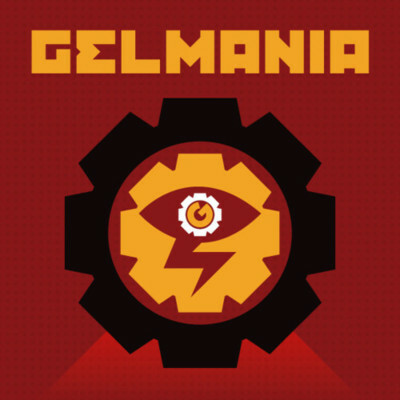 Gelmania is not so much a podcast, but more like recorded performance art. Whereas most comedy podcasts consist of funny people interviewing other funny people, Gelmania is comprised of sketches, monologues, and segments improvised by actors in character; all the brainchild and mastermind of comedian/writer/actor Brett Gelman. Gelman is most known for his role on Adult Swim’s Eagleheart and playing the "weird and creepy" guest star on most network sitcoms. However, not many know him as the gifted, yet demented, writer and performer he is. Although Gelmania is usually unpredictable and often indescribable, there are several recurring themes and sketches a listener can count on. Gelman, using a creepy voice modulator, will often lecture the listener on their small insignificant lives and act as an overlord convincing you to subscribe to a new world order. "We Figured It Out" is a segment in which he talks earnestly with a guest about how he's figured out how to act in the entertainment business ("walk away from people if they start talking to you"). The rest is a veritable grab bag of demented and sardonic humor, including a casual conversation between G.G. Allen and John Wayne Gacy, a catchy tune sung by Bane from The Dark Knight Rises, or repeating the phrase "I'm not doing well" for ten minutes straight. The level of originality and depravity outdoes itself in each episode, and it's the podcast I look forward to the most each week. Ingrid Haas and Melissa Stephens are two friends in the comedy scene in Los Angeles who come together each week to talk about... anything. The original premise of the show was to talk about interesting things they encounter on the internet and about what they posted on Instagram and Twitter. As of late, the podcast has taken a different direction, but I actually don't care because the banter between these two are hilarious and comforting. Close friends in real life, their conversations are like the ones you have with your friends that are manic and with inside jokes, except that the listeners are also in on the jokes. The appeal of this podcast over others that are just "two funny people talking" is that they have no problem with baring their insecurities, social hangups, or revealing periods of pettiness and selfishness. In fact, it's like a requirement on this show; often, one of them will cry before the episode is over. In fact, Melissa Stephens is notorious for oversharing everything on Twitter and it's quite entertaining. I typically listen to this podcast at night when I am trying to wind down the day, as a reminder that there are others whose insecurities are good fodder for comedy.